Fans of horror genre cinema had plenty to cheer for this year. In this article I list my personal take on best horror movies of 2018. Seems early to start the lists summarising the year right? While there is still plenty of movies ahead, best horror movies of 2018 are already sorted out (sort of). I’m not expecting much more to surprise me in December and if anything pops out of the blue – it’ll definitely make the cut. What were the best horror movies of 2018? As an ardent fan of the genre, I must say that this year was far more exciting in comparison with the previous years. There were plenty of truly terrifying films, as well as ones that challenged the haters of horror in general. Some of them really hit the artsy spot, while others justified my belief that horror is transforming rapidly in the recent years. This list contains films that – for various reasons – stuck in mind, petrified me or became the kind of milestones that push the boundaries. Enjoy and remember to share your thoughts in the comments. Unless you’ve seen literally thousands of films about possessions, “The Devil’s Doorway” will surely give you the chills. It’s a found footage horror, even a bit vintage (considering that the technique was a hit more than a decade ago), but this little Irish indie spooker uses this filmmaking technique to its favor. The slow descent into hell – which is located in a particularly creepy home for “fallen women” in the 60s – is sprinkled with old tricks but they do the job. 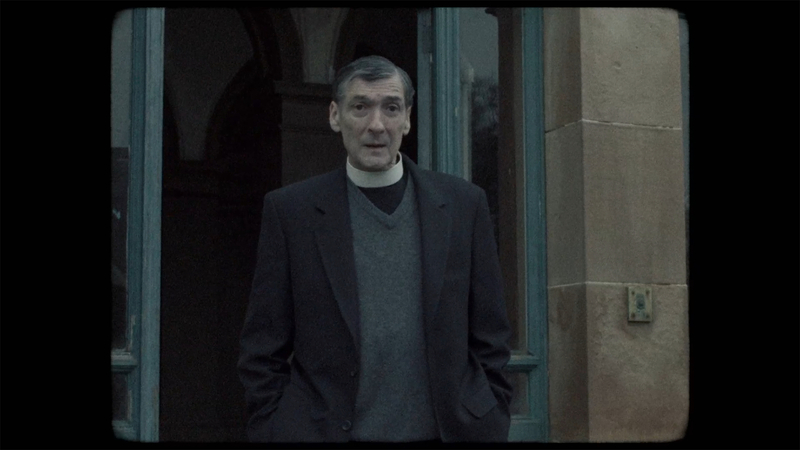 “The Devil’s Doorway” is scary when it’s supposed to be. The other advantage is the character of Father Thomas, whose personal faith issues give a bit deeper meaning to the story. While I’m not a big fan of campy horror, “Terrifier” is a fantastic, self-aware of its own kitsch movie. It’s true that the violence, although ubiquitously present in the entire film, is turned into blood-dripping grotesque. Nonetheless, “Terrifier” does terrify as the title promises. The plot could be described as one night with a murderous clown called Art – a kind of evil entity that makes a vast majority of established screen psychos look like children. Art sprays havoc everywhere he appears, blood is spilled and limbs are thrown in the air. 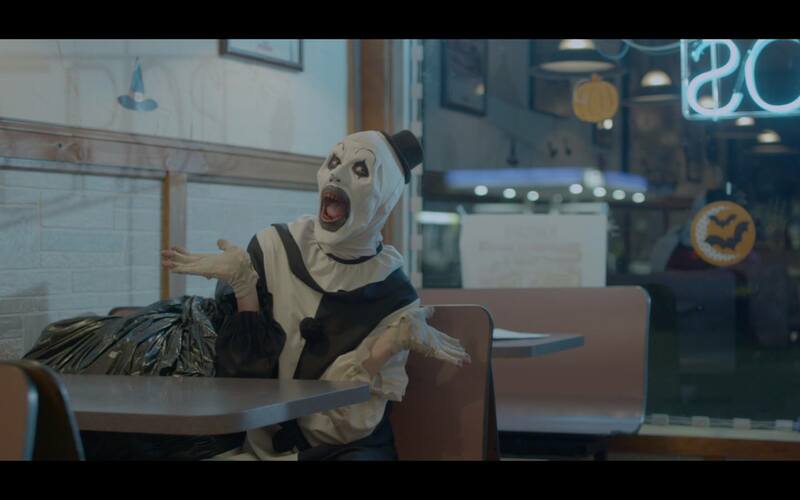 “Terrifier” never takes itself too seriously and, frankly, it’s what makes this film pure fun. The so-called practical effects have been marginalized by CGI to a huge extent in the modern filmmaking. The horror-loving audiences suffer from it a lot, because too many movies inadvertently turn to not-so-convincing visuals. In these dark times, it’s films like the Spanish “Errementari: The Blacksmith and The Devil” that arrive to save the day in glory. It’s a movie based of a Basque legend, which revolves around a certain blacksmith and his dealings with the devil. “Errementari: The Blacksmith and The Devil” is a stunning attempt at a tenebrous fable, easily fitting the Grimm’s fairy tales mood. The jaw-dropping precision in the set design is particularly awesome, along with the devilish suits worn bythe hellish minions, appearing in the film. 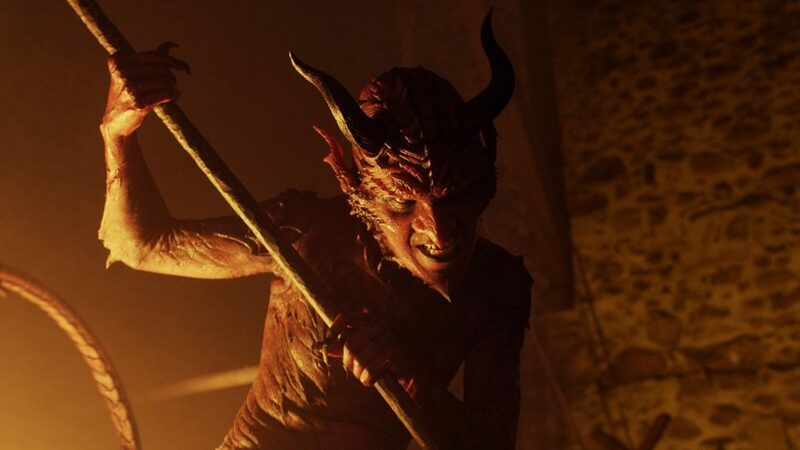 While it raises a brow in its tendency to “grotesquerize”, “Errementari: The Blacksmith and The Devil” remains a prominent case for practical effects and their superiority over CGI. “Ghost Stories” consists of three shorts, linked by a ghost specialist, who is on the quest of resolving the most horrifying secrets he encounters in the UK. Each story is scarier than the previous one and each one is equally fun. There is superb acting here and there (Alex Lawther known from “End of the F****** World” shines), there are ghosts (obviously) and dark humor (plenty of it). It’s a really stylish horror movie that neatly threads three shorts into one riveting feature film. You don’t get too many horror anthologies, where divided parts add up to a greater picture. A story about two brothers raised in a cult was one of the biggest out-of-nowhere hits of 2018. It’s a highly intelligent film, which resents the idea of laying the cards on the table. The unknown is what scares in “The Endless”. The cult’s ravings about extraterrestrial entities, other worlds and whatnot begin to make strange, terrifying sense, but the duo of the directors likes to blur the lines – nothing is clear in “The Endless”, but this is precisely what makes it disturbing. It’s a powerhouse of a science-fiction genre too, which elevates the horror element to the next level. Where “The Endless” lacks a big budget, it makes up for it with its often unprecedented approach. While “Cam” isn’t exactly a horror movie, it would be a criminal understatement not to include it on this list. “Cam” is a tremendous take on the phenomenon of “webcamming”, where young girls create their whole world online. The protagonist of the film is rising talent in the industry, but her account gets hacked. “Cam” shows her desperate attempts at getting her life back. “Cam” terrifies without the need of jump scares, masked killers or ghosts. The very idea of having your identity stolen (along with your whole life work and a kind of passion) is enough to chill the blood. It’s also a creatively executed film, with the technological aspect serving the pacing of the story well and doesn’t play the main character. Gaspar Noe’s crazy take on beautifully shot dance-themed drama turns wildly dark and eventually brings an unfathomable quality to this year’s horror. Whilst some other despicable movie tried to bring out the devil in dance routines, it’s “Climax” that does so in a splendorous way. It’s a drug-fueled story revolving around a group of dancers who “accidentally” get incredibly over-dosed. “Climax” is gripping cinematic experience – one that tires you unspeakably, but at the same time makes you want more of it (so it kind of works like drug, doesn’t it?). Due to the fact that “A Quiet Place” premiered so early this year, it felt strangely distant to include it in this list. Nonetheless, it rightfully belongs here. 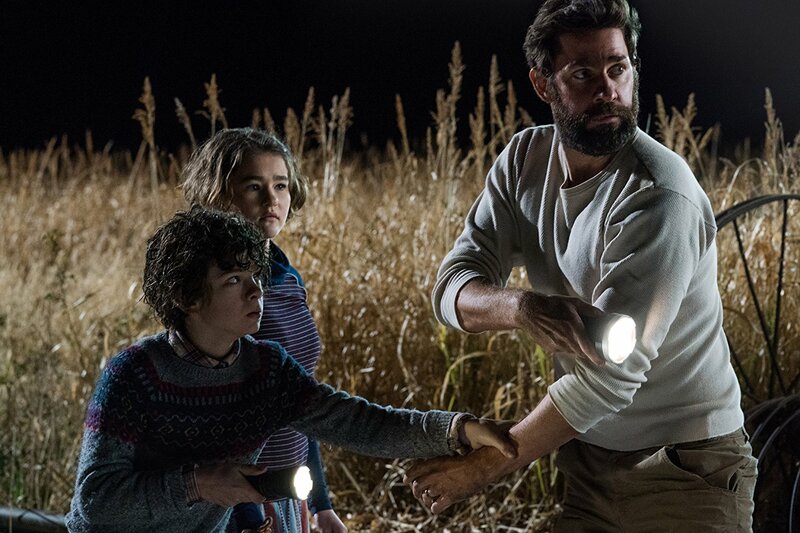 “A Quiet Place” is a great exercise at finding novelty in the horror genre. John Krasinski based his film on the ubiquitous silence. It might not be the most favourable tool to build a horror with, but it does marvels when in the hands of Krasinski. “A Quiet Place” basks in its own glory when it comes to jump scares, which work ten times better when given such an exceptional contrast. I often discussed this film with a dear friend of mine (also a critic) and we both found it truly surprising how come this little British movie stayed so long in our heads. Well, the reason is simple – it’s a goddamn great movie. “The Ritual” stands strong in the exact places, where most of the horror genre offerings fall short. Mostly, it uses drama as the means to establish bond between the viewer and the protagonist. There is a great deal of scares too. The director David Bruckner made sure to “embellish” his film with enough creepiness to keep you awake at night. The film also features an incredible monster – a design so intricate that it could easily fit a list of “best monsters of 2018 in movies”. 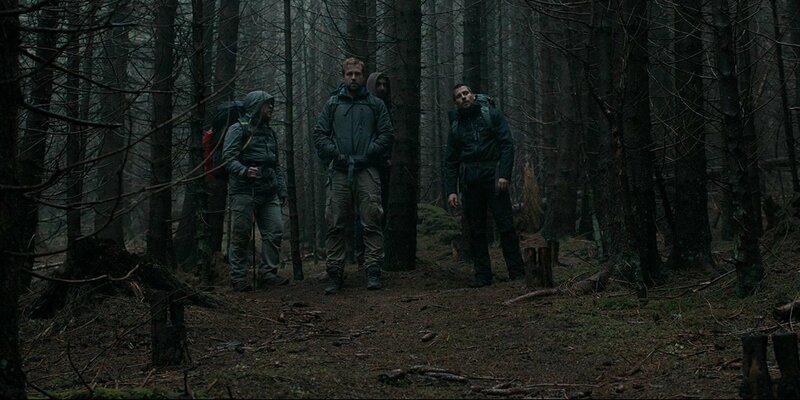 All in all, “The Ritual” is scary, it’s deep in a psychological sense and it’s more than decent acting-wise. What on Earth do we need more? The brooding atmosphere, solemn music and grey coldness of the British isles are all captivating in Gareth Evans’ horror exercise. The film follows Dan Stevens as a man who joins a cult which kidnapped his sister. The more he finds out about the dealings of the religious group, the more frightened he becomes. “Apostle” finds truly wicked ways to scare you – from ordinary jump scares to impressive and dark set designs and characters straight from hell. It’s not an exaggeration to say that it belongs to the very best horror films dealing occultism since “The Wicker Man”. Source: courtesy of the authors. 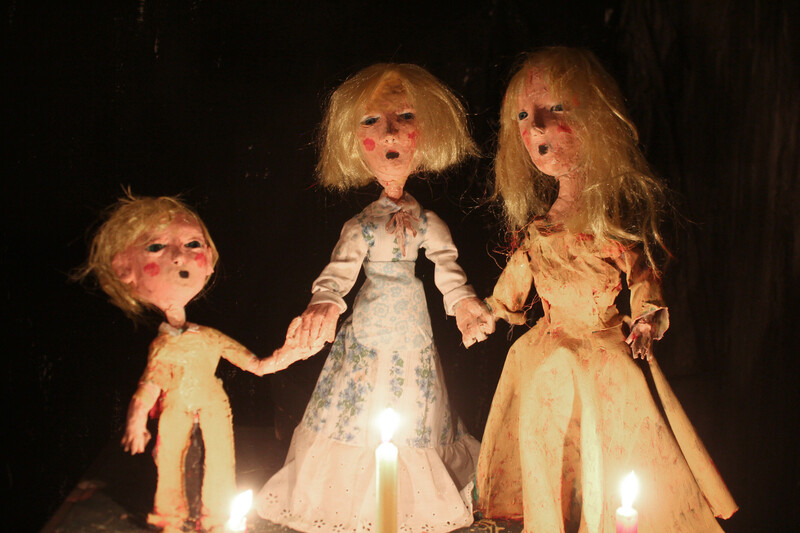 “La Casa Lobo” is one hell of a weird animated treat. The Chilean duo Joaquin Cocina and Cristobal Leon struck genius with this highly inventive story that embraces the Chilean social unease, a residue of the German Nazi influence after the World War II. It’s a film that boasts with an incredible amount of visual creativity (and also scares you good). The stop-motion animation took 5 years of making, but the final result is nothing short of genius. It really drills into your mind and plants seeds of your own fear there. If you’re looking for something that could be called a movie revelation (not only among horrors), “La Casa Lobo” is your bet. While all of the films on the list deserve recognition, Ari Asker’s debut has out-leagued them all by miles. 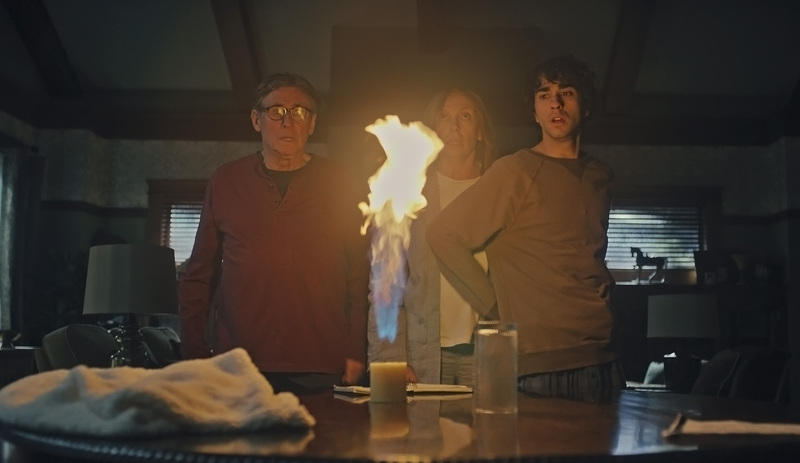 “Hereditary” is the kind of horror experience that crawls under your skin without the need to throw jump scares every five minutes. Asker masterfully injects the heavy atmosphere of unease, to the degree it’s hard to bear the tension. At the same time, it’s the kind of film you just can’t turn your eyes from. What’s more to “Hereditary”? Toni Collette has put on a marvelous performance, while Colin Stetson’s soundtrack is the definition of a brooding, absolutely nerve-racking score (last time I was so in love with a horror soundtrack was “Sinister”). “Hereditary” takes the crown and there’s no doubt I’ll be for anything else Ari Asker creates next. Share your favorite horror movies in the comments!